Three Sisters, oil on canvas. Things in threes show up a lot in my artwork, and that grouping always represents my two sisters and me. 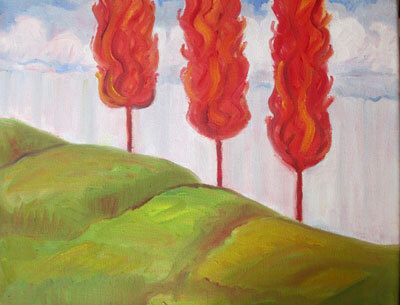 In this piece, we are obviously trees, growing, climbing a hill together.